Our self – care program is a unique alternative to traditional “oral hygiene instruction”, which is typically somewhat brief and generally non-interactive. This personal consultation with our Preventive Dental Assistant Laura consists of a thorough assessment of your individualized oral health care needs. A customized program will be designed to enable you to achieve and maintain optimal oral health. Fresher Breath, cleaner feeling teeth and a brighter smile. 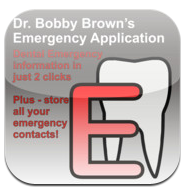 A decrease in emergency dental visits and dental expenses. A greater knowledge of their mouth and oral care needs; which allows for informed, pro-active and educated decisions. Increased resistance and control of periodontal gum) disease. During your hour visit, the hygienist will perform a periodontal examination. An instrument called a periodontal probe is used to gently measure the space or pocket depth between each tooth and the gum. A pocket depth of three millimeters is considered normal unless gum recession is present. Greater pocket depth is an indication of periodontal disease and generally the greater the depth the more severe the disease. Treatment recommendations are based on the results of this thorough customized approach to treating and preventing periodontal disease. Controlling bacteria is the key to controlling the progression of gum disease. A bacterial screening test is done on each visit. This allows for the hygienist to be more thorough during instrumentation and for you to be aware of areas that you maybe missing during your daily homecare routine. Having awareness is a very valuable tool to help promote healing on a daily basis. Yourself and your hygienist will work together to maximize your oral health. It’s a team effort! The first method administered during a cleaning is the use of a prophy jet spray to remove stains that may be caused from coffee, tea or tobacco. Scaling to remove plaque and tartar deposits beneath the gum line. The tooth roots may also be planned to make the root surface smoother, allowing gum tissue to heal and re-attach to the tooth. Irrigation to flush out the bacteria in the pockets will also aid in healing. When pocket depths are deeper that three millimeters bacteria may rebuild in those pockets after ninety days As you can only reach to three millimeters below the gum line, it is essential that you continue on a 3month maintenance program to ensure proper healing and prevent bone loss. The self- care program will help you to keep the bacteria above and just below the gum line under control until your next visit. Click on SELFCARE PROGRAM and learn about this valuable service that is available to you! At Dr. Bobby Brown and Associates, we offer a broad range of whitening treatments. Whitening for life program. Ask us about this. Book a complimentary whitening consultation to find out which treatment would be best suited for you! A crown is placed on an individual tooth (somewhat like a thimble over you finger) when there is no longer sufficient tooth structure to support a filling and or when a tooth has been treated with a root canal. A bridge spans a space where one or more teeth have been lost in a dental arch.. The teeth on either end of the span are crowned and referred to as abutments. The false teeth in the bridge span that joins the abutments are referred to as pontics. When decay, impact or disease damages a tooth beyond the reach of fillings, and patient’s either don’t want or don’t qualify for root canal therapy, removal of the tooth is necessary. It is very important to replace extracted teeth with implants, bridges or denture so that the neighboring teeth don’t shift position and effect proper biting characteristic of the mouth. Dental implants are biocompatible metal anchors surgically positioned in the jawbone underneath the gums to support an artificial crown where natural teeth are missing. They are in no way connected to remaining teeth like traditional crowns or bridges. The advantages include not having to alter teeth on either side of the space, increased stability of dentures while also reducing long- term bone resorption. The covering of a tooth surface to correct stained or damaged teeth by applying a layer of tooth colored filling material on the tooth. A thin porcelain shell is bonded to the tooth to correct imperfections in shape and color. This procedure is estheticaly pleasing as it does not discolor over time. Is a thin clear plastic mouthpiece to wear on either upper or lower teeth at night to prevent damage from grinding or clenching the teeth. It also helps to reduce TMJ soreness and headaches. This popular preventative procedure is a plastic coating that is applied to the grooves of the teeth to help prevent decay. Great for children with their permanent teeth! This interactive program is designed for children 2 1/2 to age 11. Bacterial – screening testing, home care instruction and healthy snacking tips are an essential part to educating the children of the practice to grow and learn the importance of good oral hygiene. A “prophy” is done to remove plaque around and above the gum line and a brush on fluoride technique is applied to the teeth to aid in remineralizing any areas where decay maybe starting. An examination is done to check for cavities and referrals are sent to a specialist for children who need orthodontic attention. A complimentary fluoride visit is provided to patients who may have an increased incidence of caries and poor oral hygiene. We are very proud of this unique and exceptional program.